Chrissie is unable to hold onto her memories as she sleeps. She is forced to trust the devoted stranger she wakes up to every morning, who tells of a terrible accident that robbed her of her history. That is, until Chrissie begins to keep a secret journal, the truths of which slowly unravel her fragile and transient existence, seeming to reveal everyone as dishonest and unfamiliar, including herself. An intriguing concept is subsumed by the necessarily repetitive narrative, which Watson fails to overcome. The anticipatory nature of the plot is dampened by consistent predictability making this a rather bland and feeble read. 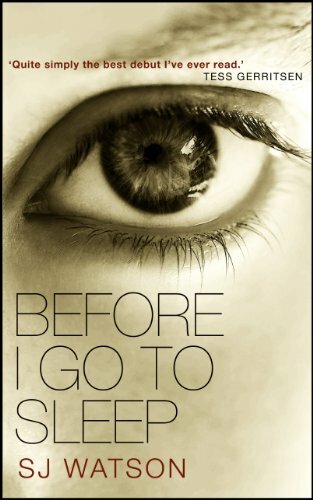 You are currently reading Before I go to sleep by SJ Watson (Book Review) at booksbeccabuys.